And the folks at Channel 12 are thinking, quick, run this artsit story, 19 times today, with canned footage from a different city! (03-08-2019, 09:27 AM)GPnative Wrote: And the folks at Channel 12 are thinking, quick, run this artsit story, 19 times today, with canned footage from a different city! And I swear that wall used to have a mural on it. I'm certain of it! Before the Vogel Plaza redo. 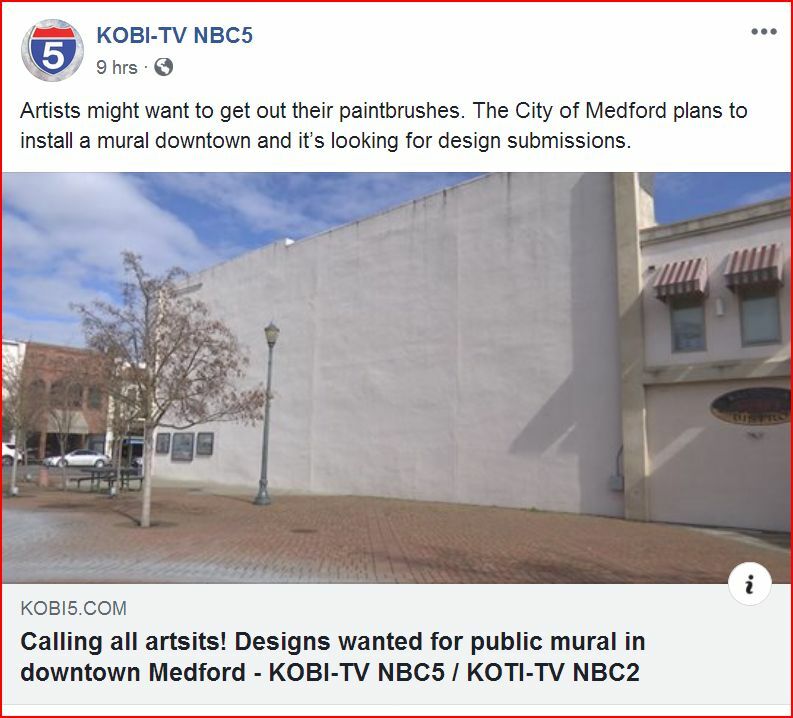 (03-12-2019, 09:59 AM)Juniper Wrote: And I swear that wall used to have a mural on it. I'm certain of it! Before the Vogel Plaza redo. You could you start a thread on FB in W Medford and ask if anyone remembers? Isn't that a west wall? Seems like the sun would fade that out pretty quickly at this latitude. Yes it is. But I swear there was a mural years ago, in the 90's. I wish someone could remember. This article was posted on WMG and I did say it. I think the Mod said no and that's all I heard about it. Yes I know. I just wonder how ,any people clicked on it OR who did and still didn't see your comment/question. I will NEVER understand why so many people post without reading the previous comments. I understand when there are a whole lot of comments. Sorry I can't be of any help. That was before I moved here.